Teaching your baby to become potty trained is by no means a new process. In fact it has been around for many years and is a common practice in countries like Africa and Asia. The process of training your baby from birth to the age of 4 months is commonly known as Elimination Communication. The concept taken by author Ingrid Bauer in her book ‘Diaper Free- The gentle wisdom of natural infant hygiene‘. After the age of 4 months it is considered to be a tougher challenge to learn. Basically because the baby will have to un-learn the process he or she has been use to since birth. Going in the diaper. So if you want to start training your baby at a young age, it’s best to start immediately. Elimination communication is basically when a parent has learned their babies bodily practices so much so that they know exactly when their baby needs to go to the toilet. It takes commitment and complete dedication to learn the signals and rush your baby over to the toilet in time. Mastering the art of Elimination Communication is a very rewarding practice, but highly involved. There are 4 main components that make the procedure of toilet training a baby successful. Which will be discussed further down. Although toilet training a baby is not a new idea or method. It is growing in popularity in many countries including the U.S. The cost of diapers/nappies being the most common reason to begin the Elimination Communication practice. The price of nappies can be quiet costly especially if you have multiple babies or toddlers still in nappies. As a parent myself, we are always looking for further ways to cut down on costs. Wiping out nappies would have saved us quite a bit of cash. So it’s understandable why parents do take this route. Yes it does work but it would be quite foolish to believe that you will never need diapers again. Will it work for any parent?. Most probably not. This method of training a baby is quite an intensive learning procedure. Time, patience and of course diapers will be needed. Especially during the night, because parents cant be on the look out for babies body movements/signs every waking second. Learning the signals your baby gives when they are needing to dispose of waste matter, is a skill that is essential for getting your baby toilet trained. The signals that your baby will give you to let you know ‘hey Mom I’m ready to pee now!’ will vary from child to child and possibly show no signs at all. Spotting the signals when beginning Elimination Communication are generally observed when you bub has no diaper on and usually within the first 2 weeks of staring this practice. 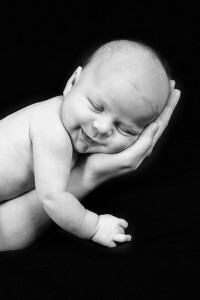 Some of the possible signals can include: A special cry that’s different then normal, facial expressions will change, passing wind, grunting unusually, wiggling around frequently, acting fussy for no reason plus others that will be unique to your own baby. As your baby gets older spotting the signals becomes a lot easier. As they say..Timing is everything and is a crucial step to mastering a baby to be toilet trained successfully. Especially if you begin this process on your newborn baby. As newborns tend to urinate all the time it seems. Anywhere from every 10 to 20 minutes expect to be holding out the potty. 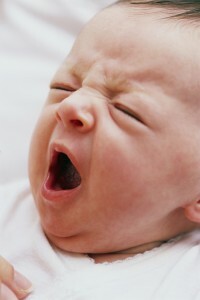 Fortunately like us adults, when a baby is in a deep sleep they tend to not urinate. Once you have learned your babies signals, it’s now up to timing to take it to the next level. Establishing a two way connection with your baby is the third step in getting your baby toilet trained. Familiarize your baby with a certain sound when its potty time. This acts as a way to let your baby know it’s safe or ok to now go wee or poop. Sounds like a faint whistle or psss can be a way to communicate to your baby it’s time to urinate. This becomes very important when your away from home and your baby may be uncertain of public toilets, or even unfamiliar potties. For older children you can use words for cueing. Perhaps wee wee time or time for potty. So by now you have learned the signals and have timed it correctly. Cueing to let your baby know its ok to go to the toilet now is the final step. Intuition comes from all the above steps. Using your intuition it is possible to guess to a certain degree that your baby is ready to go to the toilet. Prompting your baby to go to the potty before bedtime, leaving the house etc is a really great way to prevent mishaps. When its all said and done you will be a very happy and economically better off parents. But it will not be an easy ride getting to the end result. It’s important to remember that accidents DO happen. Don’t punish your baby for accidents, its much more effective to simply make your baby aware that they made a mistake as they will see this as abnormal. It’s all part of the learning curve for both you and your baby. To get a more in-depth look at how to toilet train a baby from birth, I recommend you read a very detailed book from a Mother that’s been there done that! A useful book of knowledge and training to complete your potty training kit. 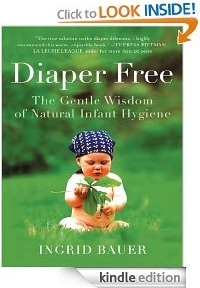 The book is called Diaper Free- The gentle wisdom of natural infant hygiene by author Ingrid Bauer.